The artist lives and works in Senegal, Africa. This is the first page from a story about ritual circumcision for young girls. 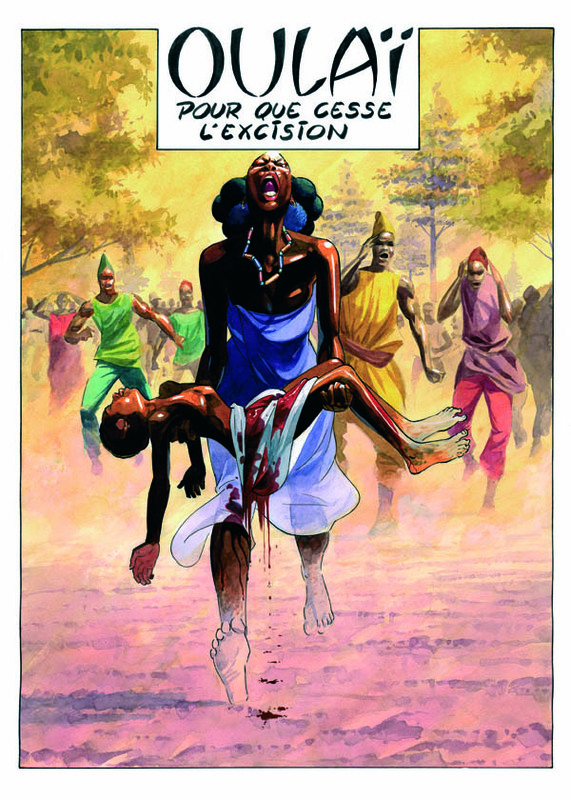 The original art is part of the Africa Comics exhibition curated by the Africa e Mediterraneo, Bologna Italy. Medium: Print of original watercolor painting.